Footage has emerged that appears to show an Israeli officer throwing a stun grenade at a couple and their baby in the West Bank. The incident reportedly occurred as they were fleeing to their home amid a violent protest. 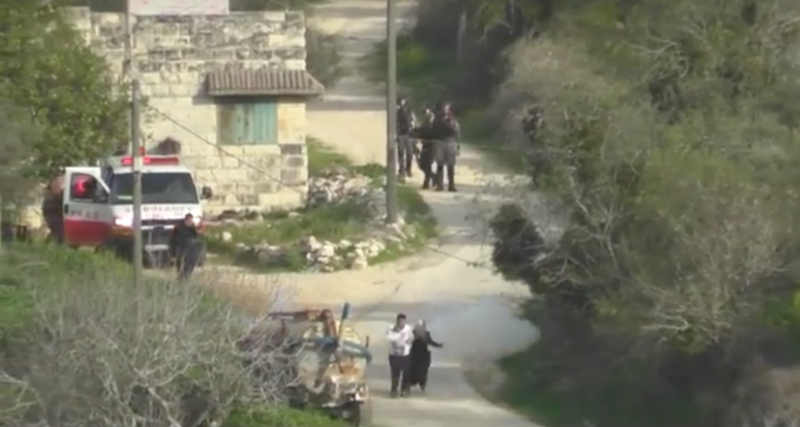 The video, taken by an activist for the Israeli human rights group Yesh Din, shows the family of three fleeing to their home in the village of Burin, as the father carries their infant. Four Israeli officers are walking behind the family, and one can be seen throwing what appears to be a stun grenade, despite the couple not appearing to pose any threat. The two parents become startled after realizing what has happened, and begin to pick up their pace. 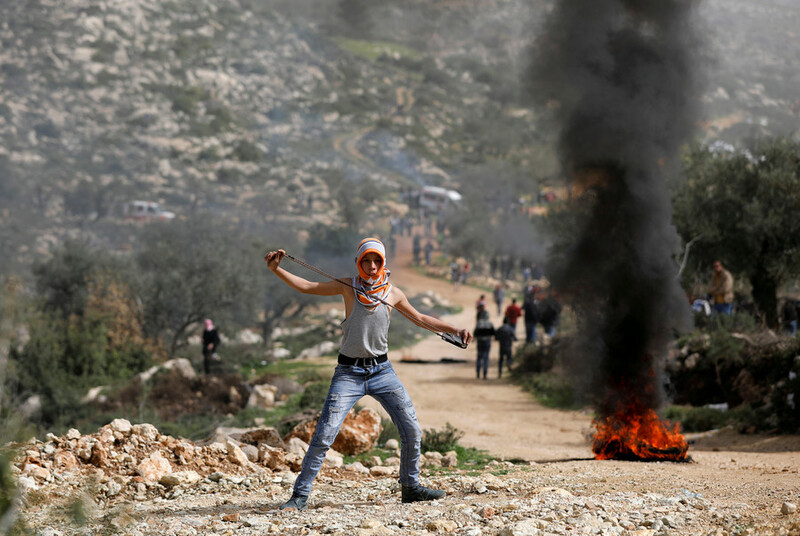 The incident occurred on Friday, amid protests which were sparked in the area after Israelis from nearby settlements attempted to enter the village, according to Palestinians cited by Haaretz. Israeli security forces also said a violent demonstration was taking place nearby. However, border police say the video shows a "partial and edited" portrayal of the events, and that dozens of protesters were throwing rocks at officers near and around the family's house. They also said that the father had fled with his back to officers, so it was impossible to see he was carrying a baby. "Such a run is characteristic of rioters hurling stones at officers whilst risking their lives and trying to escape in attempt to avoid arrest at any cost. It's needless to say that, had the officers noticed the baby, they certainly would have acted accordingly," it said. According to Yesh Din, the incident was one of several similar occurrences on Friday. 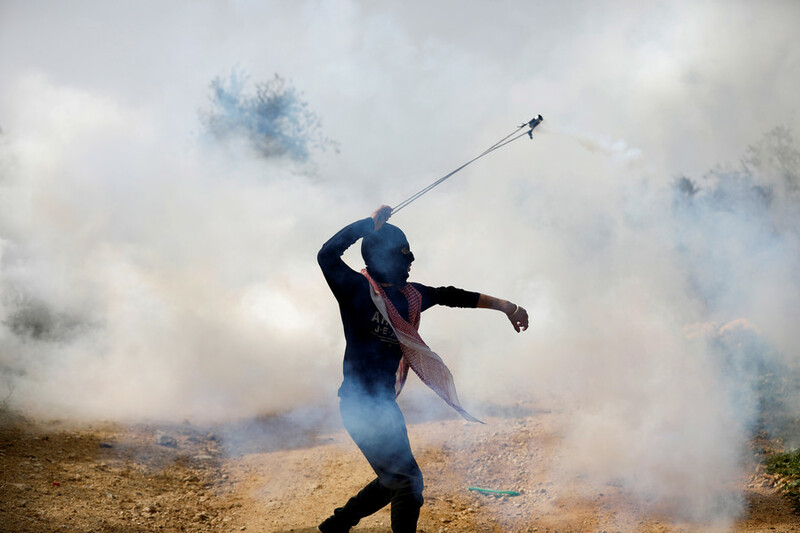 "At least one tear-gas grenade landed in one of the houses where a large family lives, and several residents suffered injuries resulting from inhalation of gas and smoke," the human rights group wrote on Facebook. 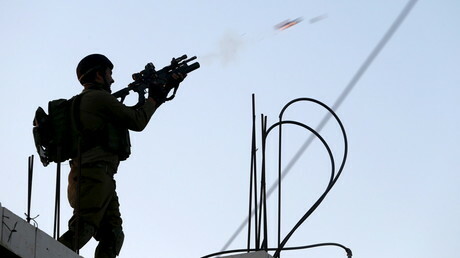 "The soldiers and border police officers continued to fire the tear gas and stun grenades even when the occupants were evacuated to the ambulance," Yesh Din wrote. The group, created in 2005 with the intention of promoting the improvement of human rights in the Occupied Palestinian Territories, was in the area to monitor the actions of protesters and the response by Israeli forces. 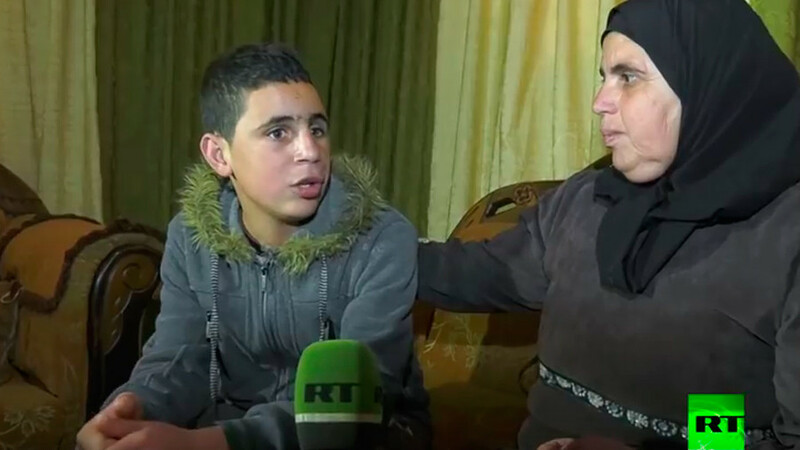 Palestinians cited by Haaretz also said that a tear-gas grenade fell into a school. The ambulance that arrived at the scene is said to have helped people evacuate the building. It comes amid increased tensions in the region, which were intensified following US President Donald Trump's decision to recognize Jerusalem as the capital of Israel. Footage from less than a month ago shows dozens of Israelis, some of whom were masked, throwing stones into the village of Burin. 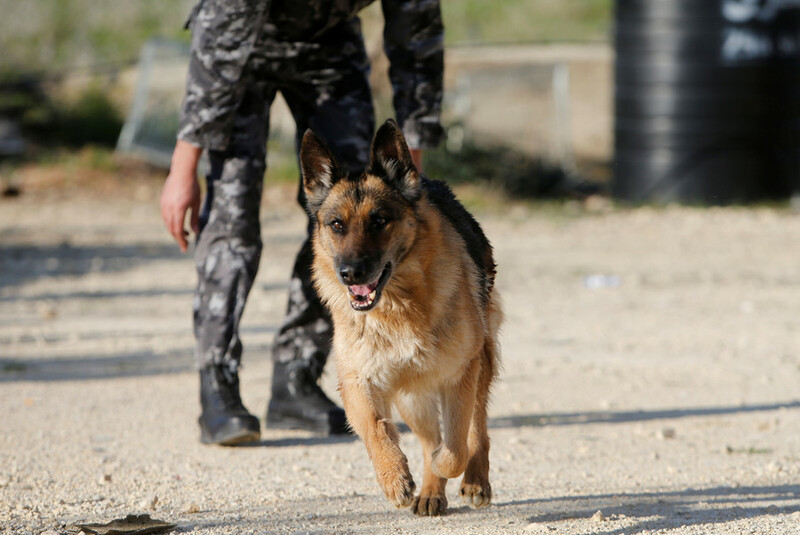 Meanwhile, it was reported a few weeks ago that a Palestinian shepherd had been beaten by a group of masked Israelis who then went on to keep five of his sheep.